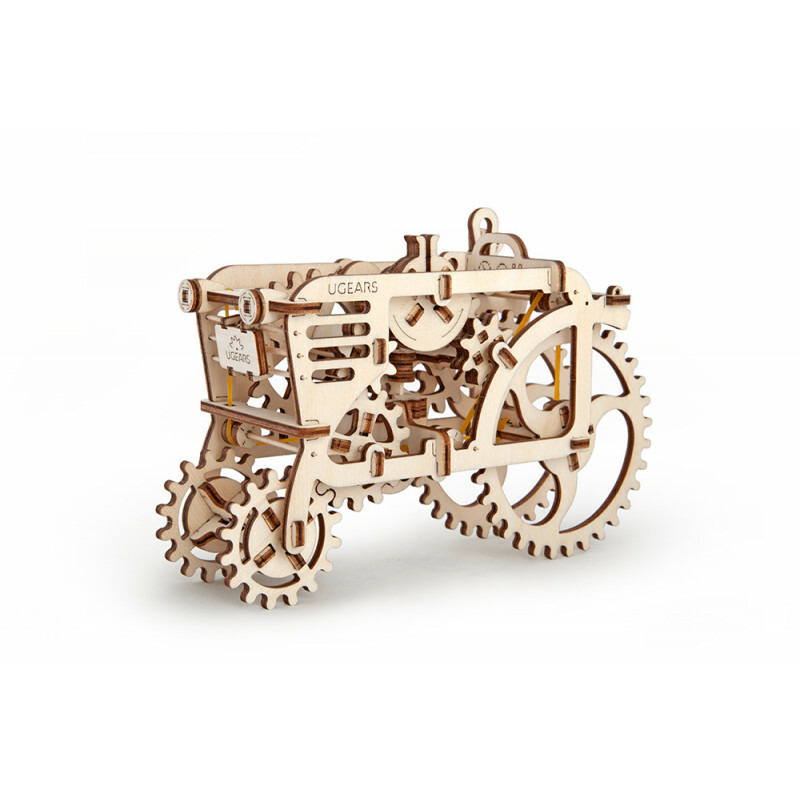 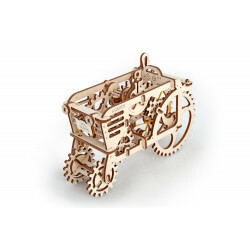 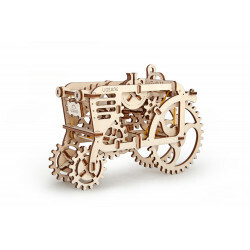 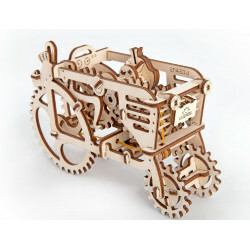 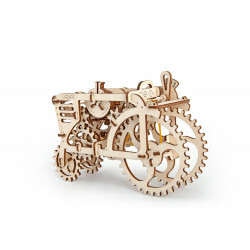 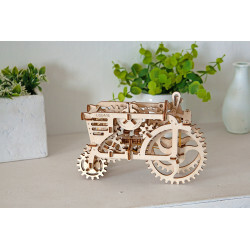 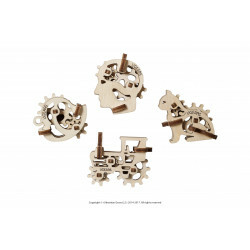 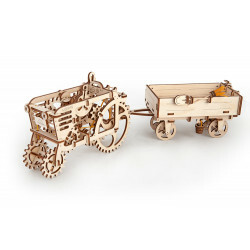 The Ugears Tractor is a rattling greeting from the centuries past. 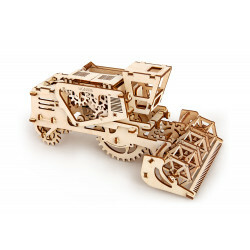 Start maintain your family farm with our tractor! 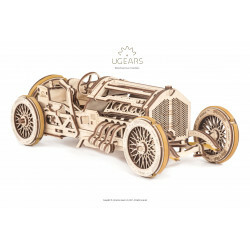 Don`t be decieved by the small size of the Ugears Tractor. 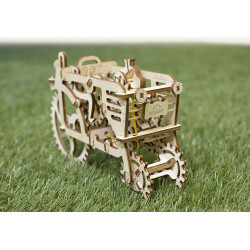 It is a fully realistic, powerful and original mechanical model. 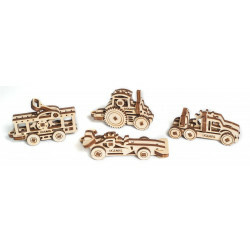 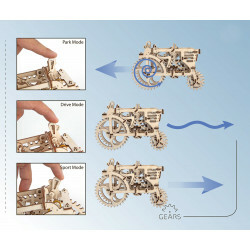 Ugears Tractor has 3-step transmission: use “low” to move the freight to the location, use “stop” for unloading or switch to “sport” gear to participate in Tractor Races. 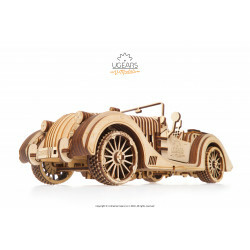 An outstanding design, a rubber engine and mechanical power will surprise you. 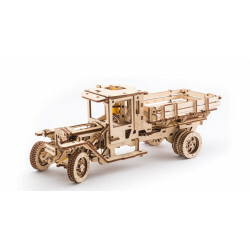 Made from real wood as all of our models.